This is a statement from Erica Griffin, who will serve as the AP English content director beginning in June. Erica is currently the AP English teacher at Hartselle High School. Erica will be serving in the role currently held by Diann Frucci, who recently announced her retirement. Ms. Griffin in no stranger to A+ College Ready’s work and impact. She was the beneficiary of the Advanced Placement training and incentive program when Hartselle High School joined the A+ College Ready program in 2010. Her potential was easily recognized by A+ College Ready leadership and she was tapped to begin leading Saturday Study Sessions for AP English students all throughout Alabama. 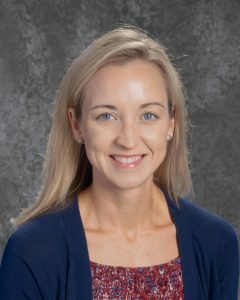 In recent years, she has served as a member of curriculum development teams for both AP and tenth grade English as well as an E3 teacher trainer. “A large pool of qualified candidates submitted letters of interest for this position. The fact that there are this many strong AP English teacher leaders in the state is a testament of the quality professional learning and support A+ College Ready has been providing teachers for the last ten years. Erica demonstrated the right balance of expertise, confidence, passion, empathy, and a desire for continuous learning that we believe make her the best person for this leadership role and we look forward to her joining our dynamic team,” commented Tammy Dunn, Vice President of Academic Affairs. 0 Comments on "A+ College Ready Announces New AP English Content Director"